​Bridgemont Nursery offers places to 2, 3 and 4-year olds who live in Bridgemont, Whaley Bridge, Furness Vale and the surrounding area. Our aim is to offer a friendly, stimulating and fun environment where children feel safe, secure and are receptive to learning through play. We are committed to providing the best individual care and education to all of our children. Through the efforts of the staff, and the inspiring environment we provide, we strive to make your child feel valued and enable them to thrive. 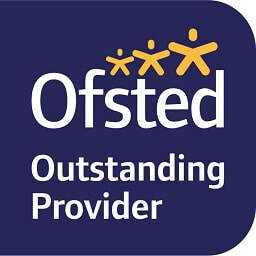 We are registered with Ofsted as OUTSTANDING and are approved for 2, 3 and 4-year old funding by Derbyshire County Council. Children will be required to bring a packed lunch if they are staying all day. We're really looking forward to 2019! Our infamous box is being transformed by the children into a Gingerbread House.